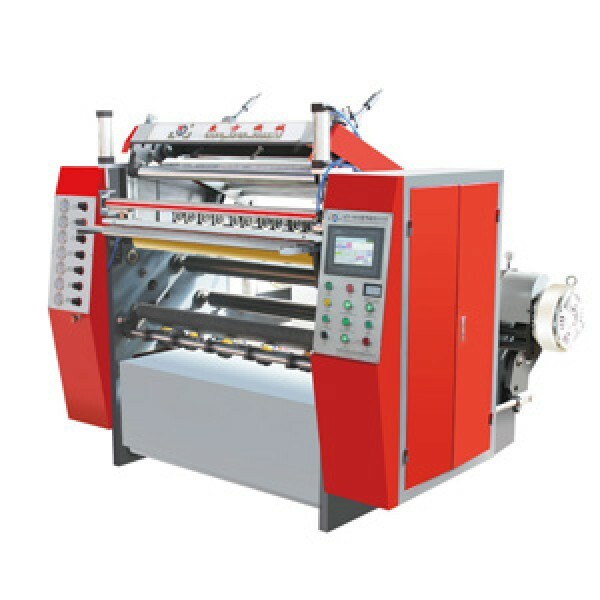 This machine is used for slitting fax paper, cash register paper, film, self-adhesive trade marks, and other paper less than 250gsm. It equips computer center control, magnet powder automatic tension control, automatic product aparting, automatic counting, automatic pneumatic loading&unloading unwinding system. It’s high speed and stability, high precision, and long working life. It is first-rate advanced equipment home and aboard. RUIAN DONGFANG MACHINERY MANUFACTURE CO.,LTD. was founded in 1982, and is specialized in producing complete sets of paper, plastic and soft packing equipments and has been appointed as one of enterprise with Honoring Contracts and Crediting by the municipal government for sixteen times in succession. In 1997, it received various titles as follows: Advanced Enterprise Honoring Contracts and Crediting, Advanced Enterprise, Star Enterprise and Grade-AAA Creditable Enterprise, Especially, it has passed ISO9001-2000 International Quality System Verification in 2003 and has got European CE marking in 2006. We develop high-new products continuously by introducing advanced technology, combining national conditions, depending on scientific and technical development. Our Dong Fang products can be classified into twelve kinds, including slitting, sheeting, printing, laminating and bag-making etc. The main products include QFJ-650/2800 Multifunctional Slitting and Rewinding Machine, ASY -600B/1200B Automatic Gravure Press Printing, ZF-250 Central Sealing Machine, FBY-350 Platen Double-edge Sealing Machine, DDFJ-350B/600B Automatic Sealing and Cutting Machine, DFJ-600/1600 Automatic Sheeting Machine, DSBF-350A/600A Dual -purpose Three-edge Sealing Bag Making Machine. The products are efficient and energy-saving with combination of mechanism, electricity, photocell, hydraulic and pneumatic system etc. With a new will and enthusiasm we staff will open up markets both home and abroad and provide distinguished customers with famous brand products and creditale service.